When you think about the body of wine, your mind immediately goes to the bottle in which the wine is carried. However, if you’re rapidly becoming a connoisseur of this heavenly elixir, then you know that the body of wine is not something that can be explained as easily as that. The term body is a very essential part of explaining the characteristics of wine. Generally used to determine the ‘fullness’ of the flavor, the body of a wine is described as the overall feel of it in your mouth. Light bodied wines produce a leaner and delicate flavor in the mouth. Medium bodied wines fall in between these categories and produce a hint of lightness while giving you full flavor. Full-bodied wines produce a powerful flavor for your palette. And while you may think that the body of a wine depends on the fermentation process or even the grapes, the main factor that influences the body of a wine is alcohol. The reason why alcohol plays such a big role for wine is due to its viscosity, which works to make the mouth feel lighter or heavier when drinking. Determining the alcohol influence can easily give you an idea about the body of wine and which category your wine falls under. The higher the alcohol content in wine, the fuller the body of wine will be. Wines that fall under 12.5% are said to be light-bodied, an example of which are the crisp and refreshing white wines. 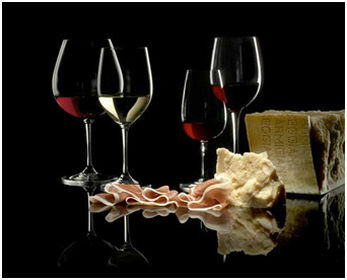 Medium bodied wines such as the Chianti Classico and Rose fall between 12.5% and 13.5%, whereas any wine that is over 13.5% is considered to be full-bodied. 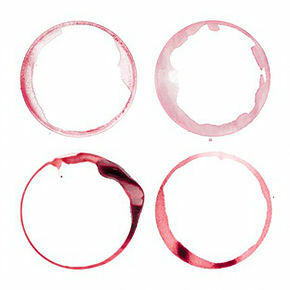 Majority of red wines usually contain over 13.5% alcohol and are considered to be full-bodied. However, white wines such as the Chardonnay are perfect examples of a full-bodied wine. As said above, Chardonnay is a full-bodied wine. However, it can only be classified as a full-body wine if it is produced in a warm climate region. And regardless of the grape variety, if the grape comes from a warmer region, it will create a riper product which will contain more sugar. So the higher the sugar content, the more potential there will be for alcohol. Quality matters when it comes to finding a better-bodied wine. At Montemaggio, we create some of the best Tuscan wines in Italy. So if you want to experience the difference of bodies in wine, then come to the Montemaggio Vineyards and taste each body of wine to give your palette a diverse treat. Sign up to receive our latest articles & news.